Jean-Philippe Imparato: "We are not saying we will sell 'outlaw' high-emissions engines and will try to compensate by selling 'good cop' low-emissions cars." Peugeot had record global sales last year of more than 2 million units and nearly half of the volume came from Europe, where the PSA Group brand grew by 7 percent in an overall market that rose by 3.3 percent. 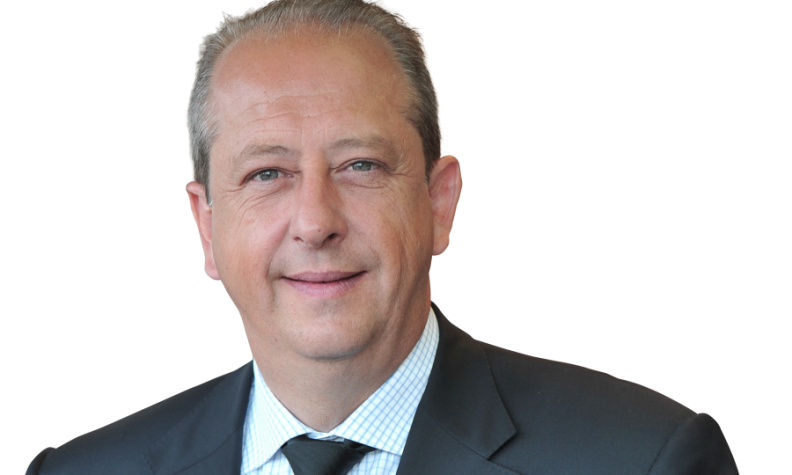 The man leading the way is Jean-Philippe Imparato, who has overseen the successful launches of the 3008 and 5008 crossovers since being named CEO of the Peugeot brand in September 2016. Imparato told Automotive News Europe Correspondent Peter Sigal how he plans to maintain Peugeot's momentum despite challenges such as slumping diesel sales in Europe. How is Peugeot managing the shift from diesels to electrified models? This transition is stressful for everyone, but we will cope with it in a simple way. Starting in 2019, each vehicle we launch will have an electrified version, including the new 308. That means that customers will always protect their residual values when they buy a Peugeot, because it [an electrified variant] will be part of the brand's core lineup. Depending on local regulations, depending on your feeling, depending on your business, you will choose the powertrain that fits best. Paris is not London, London is not Shanghai. Nobody knows how the transition to electrified models will play out, that is why we have to have a global answer. You will probably need to sell a certain percentage of low- or zero-emissions vehicles to meet the EU's CO2 targets. If you let the customers choose their drivetrains, however, how can you be sure Peugeot will reach its goal? We are not saying we will sell "outlaw" high-emissions engines and will try to compensate by selling "good cop" low-emissions cars. We will be compliant by model family in 2020. That is clear, because I don't want to pay 1 euro in penalties. It would be absolutely unbearable. Some automakers could choose to lose 30,000 euros per electric vehicle [to cancel out the effects of higher CO2 cars and still meet their target]. We don't want to do that. For example, we launched the 508 with a 225-hp gasoline engine, which emits 130 grams per kilometer of CO2. The diesel has 130 hp and emits 95g/km of CO2. Starting next year, we will have plug-in hybrids and zero-emissions vehicles on the platform. When we forecast our mix per model family we are compliant. We have worked for six years to meet these regulations. We will do so even if customers choose the powertrain. Does that mean for the 508, for example, you will sell low- and zero-emissions vehicles to fleet buyers? Yes. I sell 50 percent of my vehicles in the business-to-business channels. We are forecasting 30 percent plug-in hybrid sales for the 508, provided the total cost of ownership [TCO] meets our customers' requirements. The TCO must be in the same tranche when comparing a plug-in hybrid and a diesel, for example. We think that 5 percent to 10 percent of sales will be electric and 20 percent to 30 percent plug-in hybrids. It's totally feasible. Main challenge: Continuing Peugeot's success as overall growth slows in Europe. The new 508 has been very well received, but the market for midsize sedans is declining in Europe. What are your expectations for the model? There is one point to remember: the profit margin from D-segment [midsize] mainstream sedans is one of the biggest in the world. Europe is important, but my strategy is to be successful outside Europe. The new 508 fits my international strategy. Secondly, having launched five SUVs in the last two years, we told the market that we will come back to the D sedan one day, because it is totally consistent with the driving experience we want to support with Peugeot. We absolutely had to return to the D-sedan market, but we wanted to give the market something different. We said we would not come back with the traditional answer. This 508 changes everything with a fastback look. Peugeot had a successful year in 2017, especially in Europe, where sales increased by 7 percent, in an overall market that rose by 3.3 percent. What were the main reasons? The year 2017 was quite positive. We set a record with 2,134,000 cars delivered globally and also set a record for light commercial vehicle sales. The 3008 was named 2017 European Car of The Year. We have also won three Dakar off-road races in a row. How can we explain this? It is a result of a strategy built four years ago. We have a simple and consistent lineup, with the 208-2008, 308-3008 and 508-5008. We have a strategy to move upmarket. The main key performance indicator for me now isn't the number cars we sell, but the mix. Have a look at the 3008 and 5008 – 70 percent of global sales are the two highest-level trims. How will you keep growing in Europe when the market is forecast to be flat? I have two targets for Peugeot in Europe this year. The first is that in each country, I want the market share for sales to business fleets to be above our passenger-car market share by two percentage points. With the new 508 and new Rifter [car-derived van], as well as the 2008, 3008 and 5008, I have cards to play in terms of performance in the fleet field. Second, last year we had a really good year in LCVs [light commercial vehicles], but we can target 10 percent more, I would say one point more market share. As for mix, we have cut the lowest trim, because we consider that the move upmarket for Peugeot is totally justified. The minimum mix expected from each country is 50 percent of the cars will be sold at higher trim levels. Another point is that 2018 is the third year of our residual value action plan. As we said, our pricing policy has put us at our benchmark level for new car sales. But this is just the first step. We will be working on both on residual value and used car price forecasting for the next three to five years. That is because the best insurance for the customer is not the initial discount on the price of the car. The best insurance is what will the car's value be after three years. I want us to do the same job improving or pricing policy in the used car market as we did with new car sales. How do you improve used car pricing? There are several key points. The first is the attractiveness of our new cars. The second is the initial quality of the car: It must feel like a new car after 60,000 kilometers. The third point is that I won't accept "toxic" dealer operations. Excessive discounting is not allowed. The best way to protect residual value is not to kill the value of a new car. The fourth point is how we handle used cars — how we buy them, prepare them and market them. What is our digital ability to offer our stock to our customers? During the period of transition to new powertrains this is a key point. The customers are saying, 'What will my diesel value be in three to four years?' Our answer is, Buy a Peugeot, choose your powertrain, and we will support your residual value.